Tales from a tribble: The Most Hypocritical Statement In History? The Most Hypocritical Statement In History? I have written on this blog many times that the one trait of leftist Democrats and the mainstream media [sorry for being redundant] that I detest more than any other is their double standard and total hypocrisy on actions by the GOP [especially conservative Republicans] vs.their overlooking those same, if not worse actions, by their fellow leftists. I have pointed out this double standard so many times, I am actually getting tired of continuing to point out this bad trait by Democrats. But I could not let the following hypocrisy by this White House [president, through his spokesman] and the resulting deafening silence by the mainstream media go. "White House spokesman Josh Earnest says it's up to House Republicans to decide whether to keep Steve Scalise as majority whip after he acknowledged speaking to a white supremacist group 12 years ago -- but added that the decision will say something about the party. 'There is no arguing that who Republicans decide to elevate into a leadership position says a lot about what the conference's priorities and values are,' Earnest told reporters Monday." Can you believe that? Is that the most hypocritical statement in history? This blog has called on Rep Scalise to not be elected as the new GOP Whip, because it came out that he spoke [even if unknowingly] before a group organized by the racist David Duke. But it is one thing for this blog to ask Scalise to be rejected as the GOP Whip in the new congress [exactly because we are not hypocrites on this blog] and another thing for the divider in chief to do so, a president whose associations with racists, anti-Semites and unsavory characters are numerous indeed, and we don't even have to go back 12 years ago to point them out. 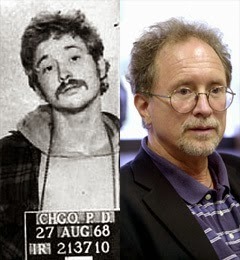 Can anyone forget this president started his political career in the living room of domestic terrorist bombers Bill Ayers and Bernadine Dohrn. Oh, Obama says they were just two people in the neighborhood who he knew nothing about--hmm, kind of same thing that Scalise said isn't it White House spokesman Josh 'hypocrite' Earnest? It's even worse than those two examples. In 2003, the president spoke in Los Angeles at an event honoring the anti-Semitic PLO terror apologist, Rashid Khalidi. Let me repeat that. 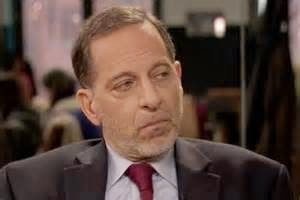 The president was in attendance giving a speech honoring the anti-Semite Rashid Khalidi. Using presidential spokesman Josh Earnest own words, doesn't that say something about president Obama and what his "priorities and values" are? If you are a leftist defending this president and don't mind being a hypocrite saying those events happened before the president was elected president, so they don't count...HOW DO YOU EXPLAIN THIS? 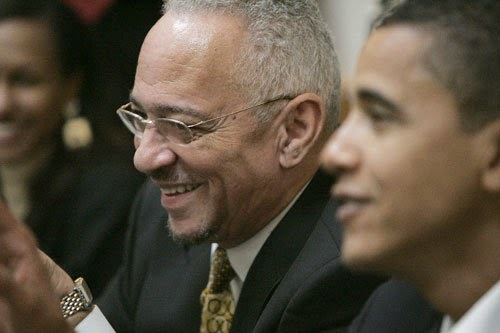 In these recent incidents concerning Trayvon Martin, Ferguson and the NYPD, president Obama has turned to the Reverend Al Sharpton as his go to man on race. Yes, the same despicable Al Sharpton of Tawana Brawley infamy of the "Crown Heights riots" infamy, of "Freddie Fashion Mart" infamy. In the Crown Heights riot, inflamed by anti-Semitic rhetoric from the divisive Reverend Al Sharpton, a young orthodox Jew, Yankel Rosenbaum was murdered for the "crime of being a Jew." Edward Shapiro, a historian at Brandeis University, later called the riot "the most serious anti-Semitic incident in American history. 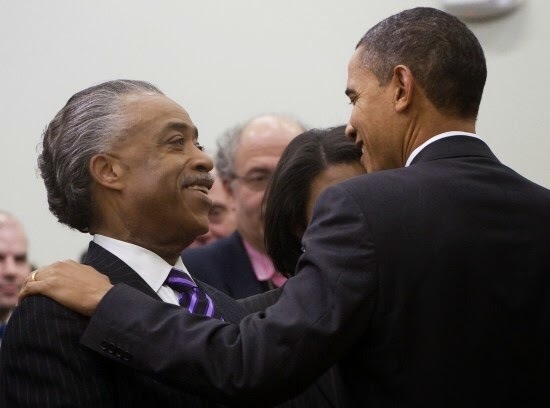 And yet the president of the United States honors this same man [Rev Al Sharpton] by having him visit the White House dozens and dozens of times to be his go to guy on race. Hypocrisy abound? Sickening double standard by the silent main stream media? Tales reports and lets you decide ... the obvious!